Fresh flowers brighten everyone's mood and bring out the beauty of any home. Why not have fresh flowers delivered to your home on a regular basis so you can enjoy the fresh fragrances and vibrant colors more often? Whether you're looking for something large and splashy or simple and elegant, The Gilded Lily has just the right flower arrangement to suit your needs and tastes. We can deliver fresh floral arrangements to enhance key areas of your home every week or on a bi-weekly basis. Each arrangement comes prearranged in a stylish vase that is later picked up by a Gilded Lily staff member the following Friday. Most fresh flower arrangements last 10 days to a full two weeks. 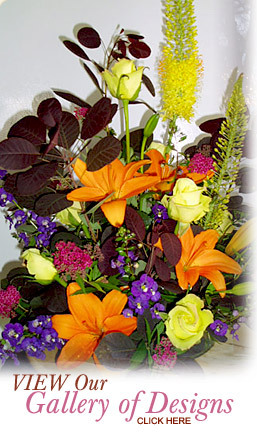 For more information on regular flower delivery, contact us today at 575-8567. The Gilded Lily also does custom arrangements for gift deliveries to your friends and family. We just ask for a 24-48 hour delivery notice and all orders start at $65.00. For more information on gift delivery, contact us today at 575-8567. Need fresh flowers for an in-home delivery party, holiday dinner, wedding, birthday, anniversary or special restaurant occasion? 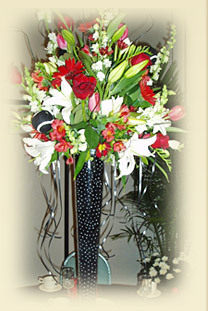 We can deliver the beautiful, fresh flowers that will add that special touch! 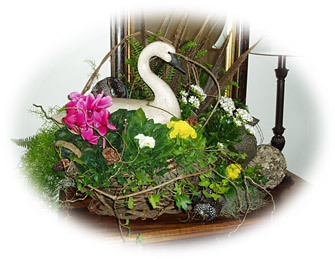 To arrange flower delivery for your special occasion or event, contact us today at 575-8567.